There are certain creative leaders in the game design hobby that pop up from time to time with interesting nuggets of wisdom – Dr. Reiner Knizia is one such creative. With over 600 games and books credited to him over his career, he definitely has the experience and chops to lay down some knowledge, and a lot of that knowledge is extraordinarily valuable. On this particular show we decided to take a couple of his more recent – and infinitely intriguing – statements and break them down for discussion. Should you file them or flush them? Come on in and find out! Most of the time on the podcast we’re just riffing on games we’ve played, or conventions we’ve gone to, or the best game with so and so mechanic, but occasionally we like to tackle something a bit heavier. This is just such a podcast. In this episode we brought in some extra brains from Matt Riddle to help us dive deeper into the math and rational thinking behind Game Theory. It wasn’t an easy topic to dissect but we think it was worth it. We hope you do, too. Enjoy! 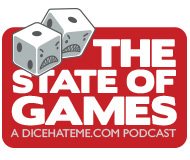 Welcome, dear listeners, to another podcast about the biggest show on astroturf (really) – Gen Con! Even though Gen Con has become almost nothing but business, business, business for most in the industry, it’s still a fun, amazing, and exhausting spectacle that we look forward to every year. Let us know if you have some great tales from the show, or, if you played something awesome participating in GenCant. We’d love to talk about your adventures on the podcast! Hello, dear readers, and welcome to another year of Gen Con coverage! This year’s show had record attendance, and I was just as busy as always showing off awesome games and taking meeting after meeting after meeting with designers. But I did get a chance to escape the job from time to time and check out some really cool stuff. So settle in and enjoy this brief look into the good time that is Gen Con! The first part of our trip involved a stop in Nitro, West Virginia – a five-year tradition! 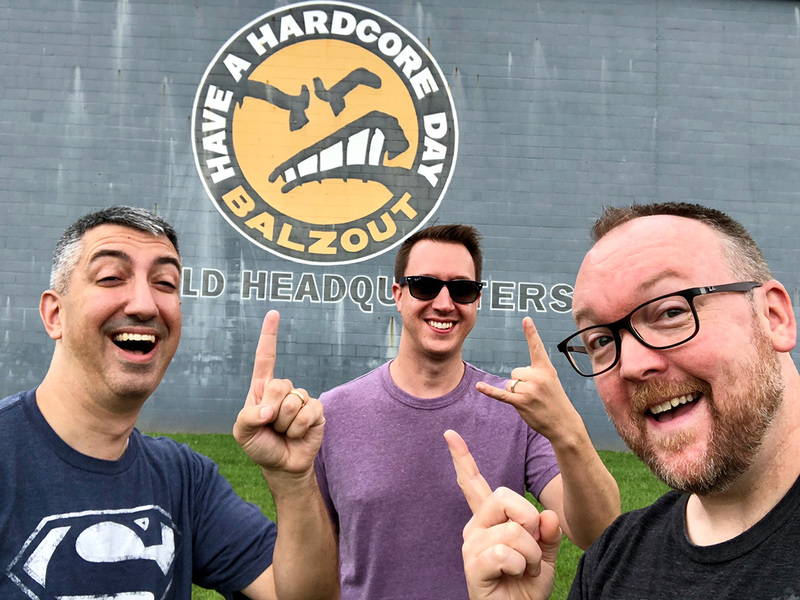 This year, Dan Halsted of The League of Nonsensical Gamers flew into Raleigh all the way from Copenhagen just to make the drive with us! Yes, he’s insane, but it was an awesome road trip.